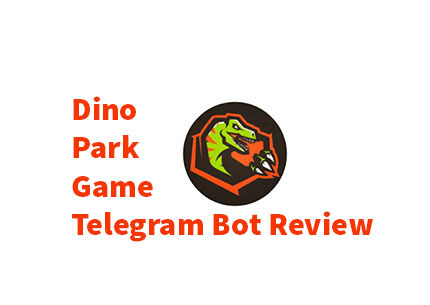 Dino Park Game Telegram Bot Review 2018 With Payments Proof: How to play and use dino park game. Earn Free Bitcoin with telegram bot without any investment. How To Play Dino Park Game Telegram. First, download the messenger app “Telegram” on Google Play Store. Register and log in to your account. If you’re using PC, you can make an account thru Telegram Web Version (web.telegram.org). After that, visit at Dino Park Bot to Start Chose Your Language. Bonus: Claim your daily bonus. You can obtain the bonus every 24 hours. The bonus will be paid by diamond to available balance. The bonus will be generated randomly from 50 to 200 diamonds. To claim your daily bonus, click the Bonus button on your menu. Dinosaurs: Here, you can hire dinosaurs. The dinosaurs will be mining :gem:, which you need to collect on the farm. 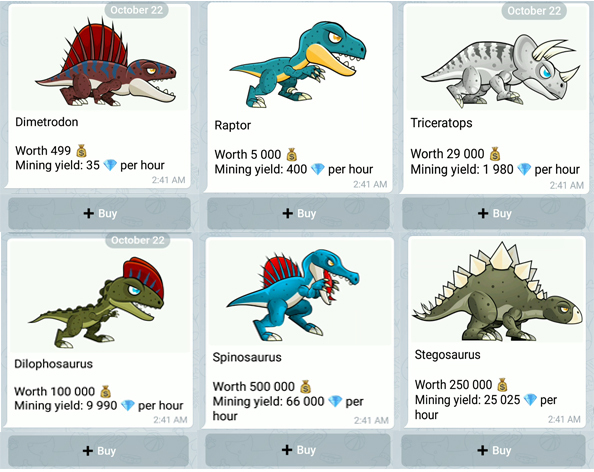 In the marketplace, the collected diamonds can be converted into game currency, which you can use to buy new dinosaurs, fund mini-games, or withdraw funds to your BitCoin Wallet! Farm: The dinosaurs you have purchased reside here. They produce gem: on the farm, which you then need to collect and sell in the marketplace. Below, you can see the amount that your dinosaurs have mined since last time and collect diamonds for sale. 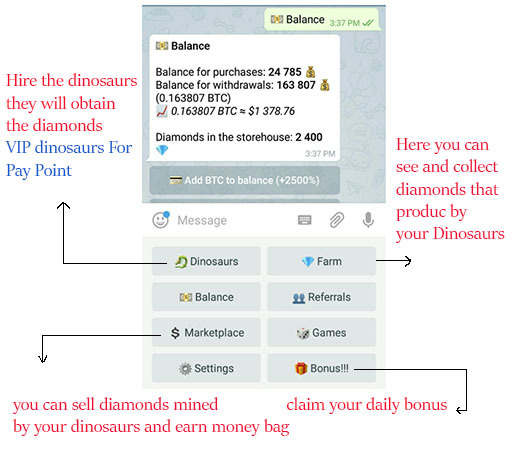 Marketplace: The marketplace is the venue where you can sell diamonds mined by your dinosaurs and earn :moneybag:, with which you can purchase new dinosaurs and more, as well as moneybag you can use to withdraw funds from the game and send it to your BitCoin Wallet! Referrals: Invite Friends and get 250 money bag 1 payment point for every referral you invite. Payment point needed to withdraw your earn bitcoin from your Referrals and dinosaurs..your commission is 30% in every deposit and payout. Elite dinosaurs: Elite dinosaurs differ from ordinary ones in that they mine not only diamonds but also Payment Points! However, to buy this kind of dinosaurs you will also need points, and - unlike ordinary dinosaurs - after a few days of work elite dinosaurs retire. Yours have access to three types of elite dinosaurs: Tropeognathus, Pterodactyl, and Allosaurus. 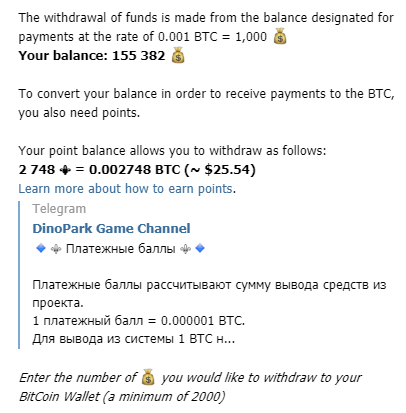 How To Withdraw Funds From Dino Park Game.